No, that’s not a typo! Even though housing prices are going through the roof right now, you can still build your own house – a charming hobbit-styled one, too – for pocket change. Or at least for a very small amount – $250 in our case, the whole price of an entire house you could call home. Now that’s simply amazing! 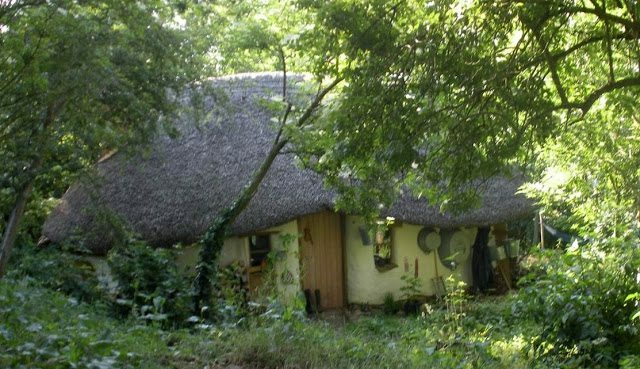 That’s because the cob cottage in Deddington, England was built almost exclusively from materials from Michael’s farm: the clay for the cob came from the site and the long straw for the thatch came from nearby fields. Poplars were planted by Michael eight years before they were felled and used for the joists. The floorboards and windows were donated by customers of his vegetable box scheme. And the results are impressive. “I think everybody should be able to do it really. I think people waste three years at university, when they should be able to build their own houses. It’s not complicated,” he told The Telegraph. The charming hobbit house has just one room, with a kitchen and dining area at one end and a sitting place and wood-burning stove at the other – with the stove also keeping the place warm and cozy. The sleeping area is smartly placed right above the stove on a mezzanine level, ensuring that you would not get too cold during the night. You can find out more about Michael on his blog – and don’t forget to share this article so that everybody learns how cheap a nice house can actually be! Previous Post15 Things You Didn't Know about Emma Watson Next PostCan Anyone Explain These Photos? They're Completely WTF!! !